There are a few excellent bike tracker products available at the moment. We’ve used the Datatool TrakKing and the Road Angel BikeTrac unit, and they both give peace of mind, and an extra layer of security – together with a fair chance of recovering your bike if it is stolen. But this new unit from Oxford Products is a bit different. 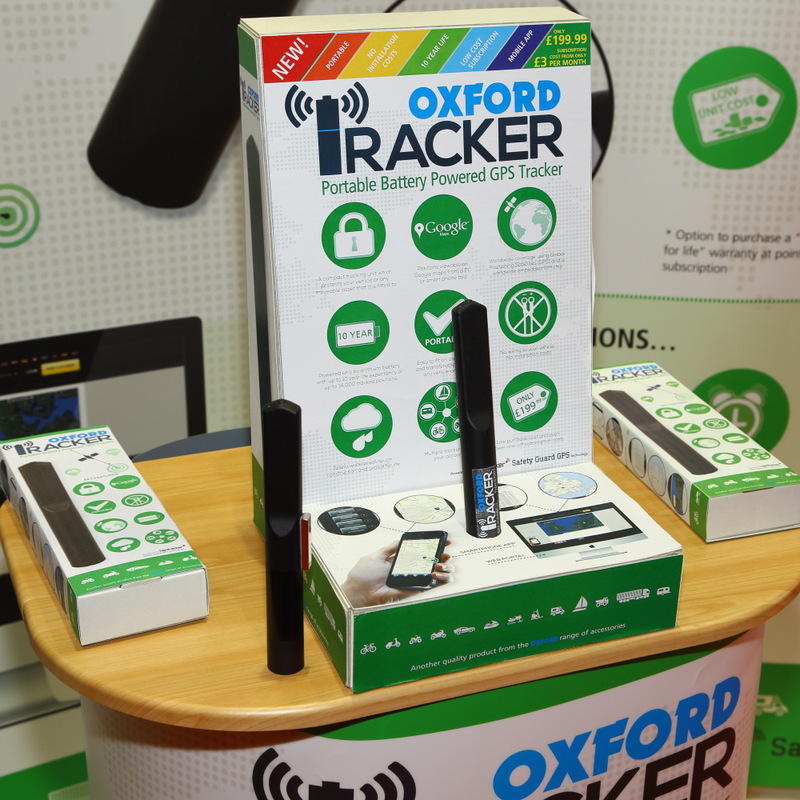 The Oxford Tracker is a self-contained unit, with its own sealed battery, permanent simcard installation, all housed in a tough plastic cylinder, about the size of a large electric toothbrush. The idea is you can use it with more than one vehicle – simply put the unit in your car, under the seat hump of the bike, or even inside your laptop bag. Then you have all the usual tracker options – locating, tracking, alarm alerts, geo-fence settings. The mos impressive part is the claimed battery life – a stunning ten years. Oxford say this is down to very careful component choice, bespoke design of hardware and software, and a super-high quality battery. Compared with a conventional tracker, the Oxford unit doesn’t need wired into the bike, can be used in a variety of places, and has lower running costs. On the flip side, it looks to be a bit harder to hide than the anonymous black boxes used in the other designs, and if you are going to swap it between vehicles, there’ll be a temptation to just stick it under the seat, where it will easily be found.